Leaders of the Pennsylvania Turnpike Commission are preparing for another year of managing the state’s 75-year-old highway system. Discussions hinge largely on tolls and collection methods. In an address at the annual state transportation briefing, Commission CEO Mark Compton told the crowd Tuesday that the plans underway for toll roads all lead up to 2022. That’s when the commission’s funding obligations to PennDOT change, reducing annual payments by $400 million. But Compton said the agency is tracking project expenses very carefully. “It is not financially, fiscally responsible, it’s not morally responsible, to stop a construction project in the middle of a project,” he said. Compton added that some of biggest future projects involve tolls — and not just the 6 percent toll increase that takes effect in January. The commission is working to put in more cashless tolling booths, where drivers either use an E-ZPass or have the bill delivered later. According to Compton, the no-cash tolls actually make roads safer. 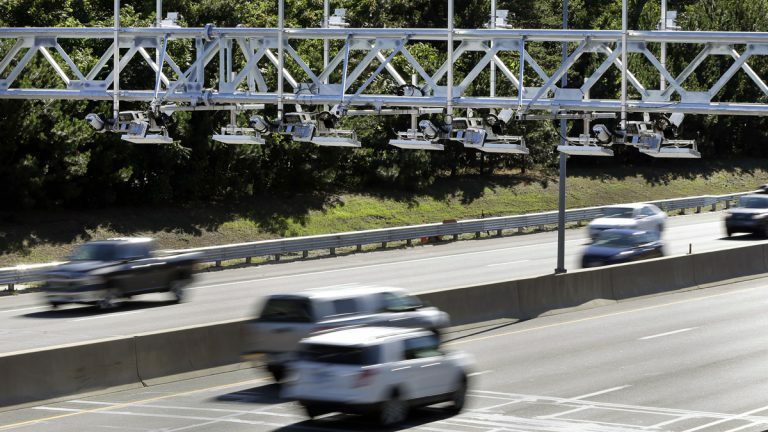 The state’s first no-cash toll installation opened in January on the turnpike bridge over the Delaware River in Bucks County.